Is your senior leadership team a group of strategy rock stars? After that last off-site planning session, did the team come back pumped with the new direction to take your growing company? The indicators are there: sales are climbing, profits are strong, and customer satisfaction is steady. In order for your company to continue on its growth path, you must turn your attention to becoming more aware of your management style. 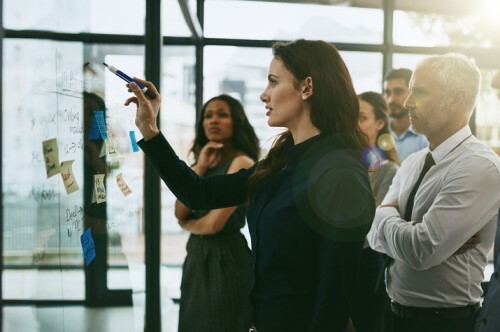 Whether it’s leading growth for the entire organization or guiding your individual team to bigger achievements, it’s key to know how to leverage your management style, because that will set you apart from your competitors. And your role as leader of the team sets the tone for how well your team executes your company’s strategy. 1. Figure out your specific management style: The first step is to find out how you are perceived. Start by asking your trusted peers and direct reports: what are the skills and attributes at which you excel? You can also do a more thorough evaluation and conduct a leadership assessment. Decades of research have been devoted to cataloging the different styles of leadership and management, so pick one that appeals to you. And most vendors will give you a sample copy for you to review. 2. Understand that your biggest strength is probably holding you back: Time and time again, professionals figure out what they're good at and then run with it. Unfortunately, as humans, we tend to go with what we know, so if we have feedback that says we’re good at something, we think more is better. When we meet someone who seems a bit aloof toward us, we pour on the charm. But oftentimes that tactic backfires because what’s needed is less. So first, know your strengths and then learn when to throttle them back. 3. Don’t hire in your own likeness: We tend to affiliate more easily with people who are like us; it’s called the “birds of a feather” phenomenon. Not only is it true for social situations, but it also crosses over into hiring practices. Studies show that managers tend to rate more highly people they perceive as “like” them. If this sameness translates to always hiring employees with similar traits as you, it will lead to a lopsided team. Seek out some balance in your team; look for complementary skills. 4. Get a wingman who is nothing like you: One of the smartest things you can do for your company and your leadership growth is to nurture a relationship with a peer who complements your management style. The primary reason is so you can receive feedback on how others perceive your style. If you buddy up with someone very similar to you, it will just be a lovefest. But someone who is your polar opposite? They will be able to tell you how you really come off to the outside world.